So although this blog post is a little late (my 2nd year Blogiversary was actually August 10th! ), I still wanted to look back over my 2nd year as a blogger. I had a very busy year with my university placement and was surprised when I looked back over my last years posts to see how many blog posts I had actually managed to do before I just couldn’t fit in doing any more towards the end of my placement. I got a lot busier when it got closer to assessment time. I think the highlight of my year was being able to work with BooHoo for Valentine’s Day. I produced some amazing images (if I do say so myself!) from the dresses they sent me and they are definitely ones I’ll look back on with fondness for a long time. Another great thing was seeing all the different hair colours I have had this past year; pink, grey, turquoise, orange and now a mix of pink, purple and blue! A big highlight was hitting 10k followers on my Instagram. I managed to find time to have a small celebration with my boyfriend with some giant balloons but other than that I have had such a busy year and I’m still trying to catch up on things I had to put off. I didn’t really celebrate my 2nd year Blogiversary like my 1st, as I knew when starting the placement that my online life would have to take a back seat. I think the most frustrating thing is seeing how far you’ve come through all of the effort you put in and then knowing that all your hard work has to take a back seat for a while. I really had to focus on my placement, but now that its over and I’ve had some rest and time to catch up I am definitely ready to get back into my blog! The last few weeks I’ve been able to regularly upload to my YouTube and I’m loving it so I’m eager to sort myself out a proper schedule and see what I can achieve with all of my ventures that I’m doing at the moment! Especially now that I have looked back over my last year’s posts; I have inspired myself with what I know I can achieve when I put my mind to it! Watch this space because there will be a lot more from me this year! 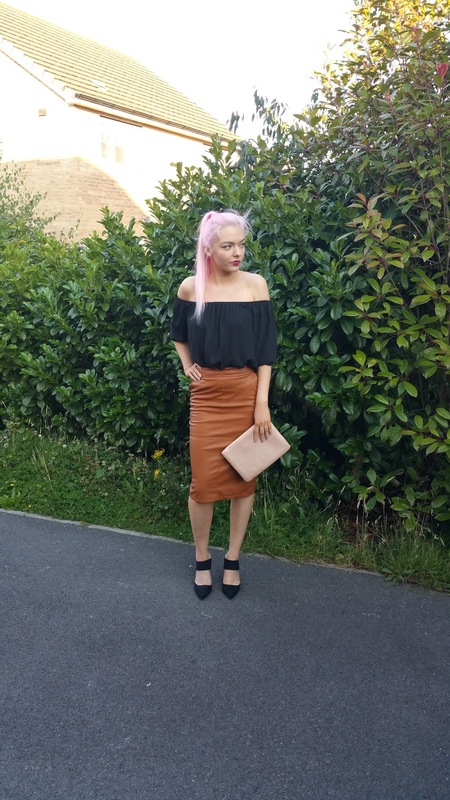 Below are just a few of my favourite outfits from my 2nd year as a blogger. Hope you love them as much as I do!